Lightweight support that moulds to your feet. 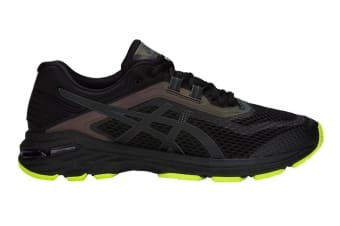 Run in complete comfort with the ASICS Men’s GT-2000 Lite-Show Running Shoe, allowing your foot to move naturally and fluidly without compromising on support. Run the distance in complete comfort with the ASICS GT-2000 Lite-Shows durable Gel sole and super lightweight design. Get softer landings and avoid pressure point discomfort with a SpEVA foam midsole, and bounce back smoother with FlyteFoam technology. Get stronger springs in your stride thanks to the supported upper, helping you to run full-pelt whilst keeping you locked down, supported and comfortable. Find your balance with ASICs Guidance Line, helping you find your groove as it guides your foot to match your natural gait making it perfect for experienced and new runners alike!